Beautiful white domestic short haired cat for adoption, named Maya. She’s very sweet and cuddly – likes head rubs, neck rubs, all-parts-of-her body rubs. She loves to sleep on top of you while you sleep and knead away. 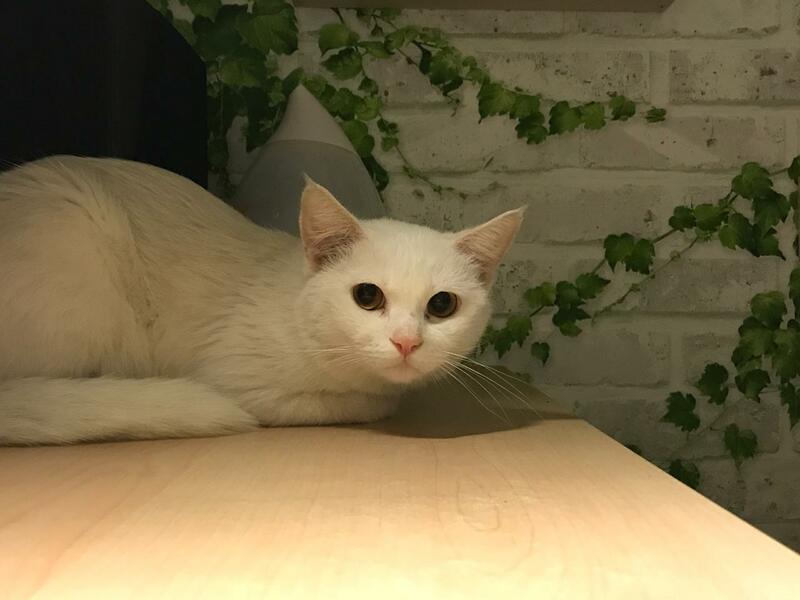 Although she is sweet, unfortunately she’s not friendly to other cats so ideally she should be in a home with no other cats (otherwise, she’s gonna bit**slap those other bit**es lol). She’s very gentle with children and babies. She’s one year old but she’s a tiny dainty thing. She has a very cute meow that will melt everyone’s heart. She’s had her first rounds of vaccination and is spayed. She’s a mix of domestic short hair and Turkish Angora.